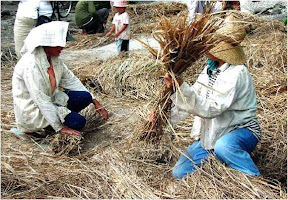 The ancestors of the people indigenous to these islands are descended from Austronesians who migrated to the Batanes Islands from Taiwan 4000 years ago during the Neolithic period. 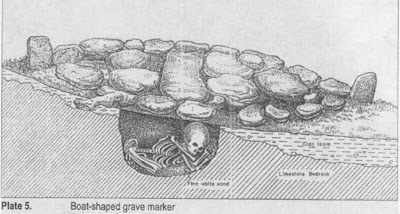 They lived in fortified mountain areas called idjangs and drank sugar-cane wine, or palek. They were also seafarers and boat-builders. This was a difficult country with earthquakes and typhoons. Winds over 200mph and frequent rains buffet the islands almost constantly: Batanes receives an average of 2,500mm of rainfall per year. 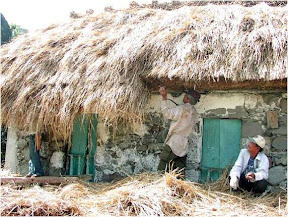 Some of the houses are built with thick grass roofs and walls; others use heavy stone walls; still others with lime plaster. 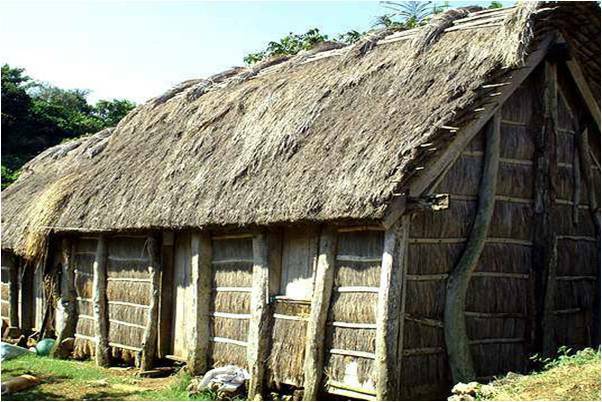 The boat building tradition of the natives of Batanes appears to have influenced their houses, even their graves. 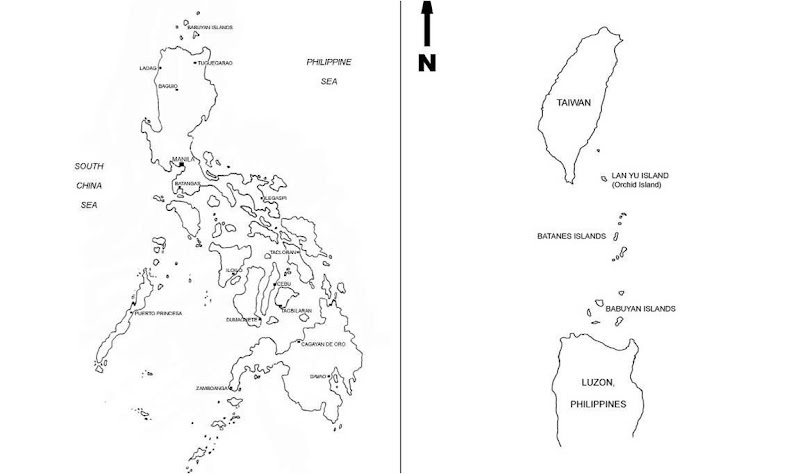 Austronesians are believed to have originated in Southern China and Indochina and reached the Batanes Archipelago in 3,500 BC. 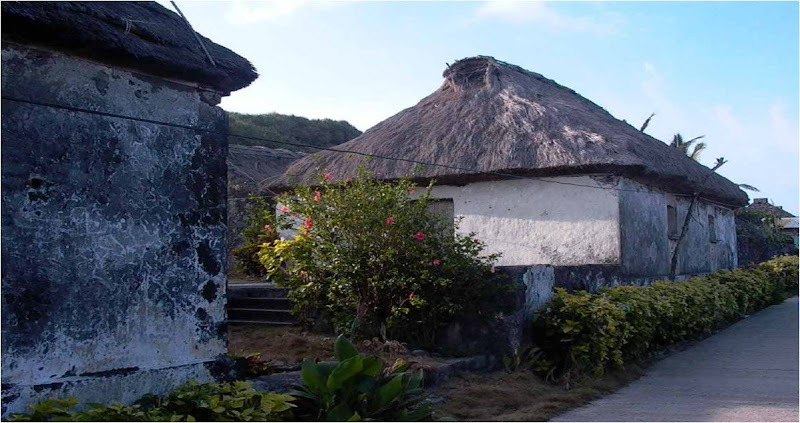 Batanes was the stepping stone in the start of a great migratory wave that led Austronesians through the Philippines, one of the land bridges for the rest of Asia. Just about a thousand years later, they moved on from the Philippines and expanded towards Borneo, Sulawesi, and eastern Indonesia. A thousand years later they continued to travel from eastern Indonesia to Micronesia and Polynesia, reaching as far as Madagascar on the African shores of the Indian Ocean. 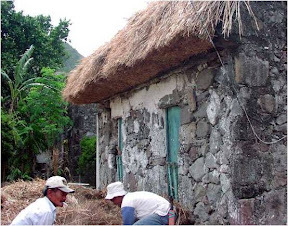 Batanes locals repairing a grass roof, and preserving their building traditions. Batanes never fails to amaze me. 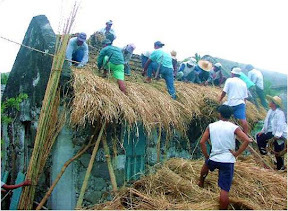 Philippines - Gawad Kalinga is a nation-building movement and a unifying force of a people seeking to build a slum-free, first-class country by 2024. 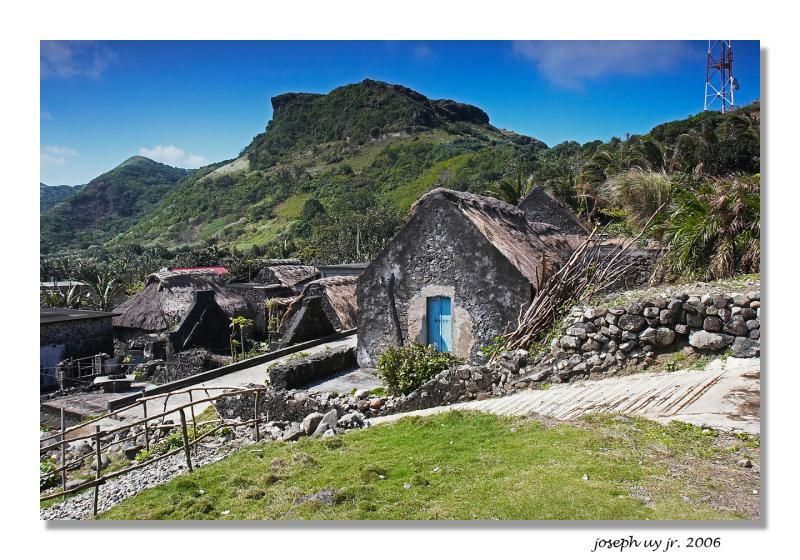 Great to see Batanes is in our country.